Jeanne is an avid collector, dealer, and proprietor of Bertoia Auctions, which she began with late husband Bill Bertoia. Recognized by the antique toy and collectible world, Jeanne, has helped promote some of the finest specialized antique toy sales on record and can be seen at any number of important antique shows promoting Bertoia Auctions. As the recognized doorstop authority, she has compiled the first comprehensive book to be written on the subject. She is the past president of the Antique Toy Collectors Club of America, and is a member of the Mechanical Bank Collectors Club, the Still Bank Collectors Club, and the Figural Cast Iron Collectors Club. A graduate of the University of Vermont where he earned a B.A. in Business Administration, son of co-founders Jeanne Bertoia and the late William S. “Bill” Bertoia. Michael said he “grew up in a house full of antiques and learned at a young age to appreciate their beauty.” Through the last decade, Michael has implemented new technologies as graphic design coordinator for catalogs and advertising, assisted Rich Bertoia with collection acquisitions, and can be seen calling the sale at the podium as auctioneer. He also enjoy traveling to shows in America and Europe as a promoter for Bertoia Auctions with plans to expend the interest of the hobby to new generations. Having pursed a career in pharmaceutical sales, Lauren’s experience in interacting with professionals and diverse corporate clientele allows her to bring a special outlook to Bertoia Auctions. In addition to a fresh and positive sense of working with the current following of toy collectors at Bertoia’s, Lauren will spearhead an ongoing commitment to increase and establish an ever-growing base of active buyers. Her interest in antiques was fostered at an early age by both parents, the late Bill Bertoia and wife, Jeanne. Bill Bertoia, original founder of Bertoia Auctions, single handedly created the art of hosting toy auctions and was responsible for many of today’s most talked about sales. Considered one of the most prominent dealers and toy auction house directors in the world, Bill’s tenure set the standards for promoting the finest sales events on record. 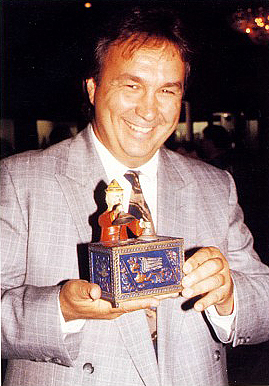 His passing on May 6, of 2003, at age 52, only helped strengthen his vision and unique inventiveness to promote the best possible auction venues by members of his family today. Legendary sales became a trademark for Bill, and his expertise in the world of toys and collectibles auctioning echoed his professionalism. His calling to a wonderful life of antiquing began while still in his teens, and his never ending enthusiasm to share in his finds or create the next, best auction, has become the present anchor at Bertoia Auctions. Bill was known the world over by the most advanced of collectors for his unequaled knowledge of fine antique toys, and his ability to conduct important auction events was looked upon with the same revered respect. 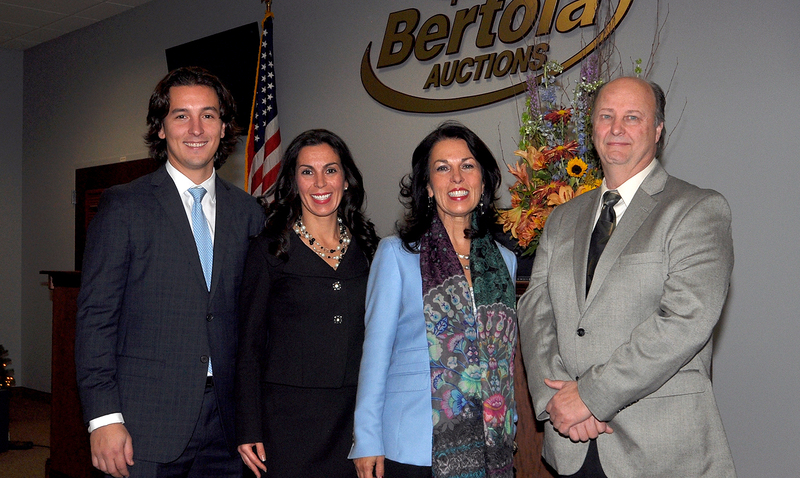 His legacy is evidenced at every Bertoia auction, as wife Jeanne, and brother, Rich Bertoia continue to promote auction events with the same standards of excellence set by Bill. His personality and toy knowledge allowed Bill a tour on the successful Antiques Road Show series and his popularity among toy aficionados is still at the center of toy community conversations. Bill leaves behind his two children, daughter Lauren, and son Michael, along with wife Jeanne, who together with his brother Rich, are forging the next generation of great events in true Bill spirit. The Bertoia Gallery is the “House that Bill Built” and continues in his name, not only as founder, but as the driving force behind anyone in the pursuit of collecting toys with a commitment to always share and enrich the entire toy collecting arena.